Bath bombs make great gifts! 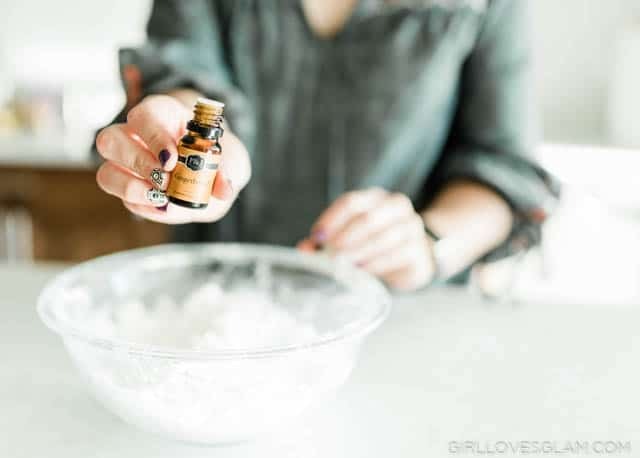 They are easy to make and everyone can appreciate a soothing bath that leaves their skin silky smooth and smelling amazing. 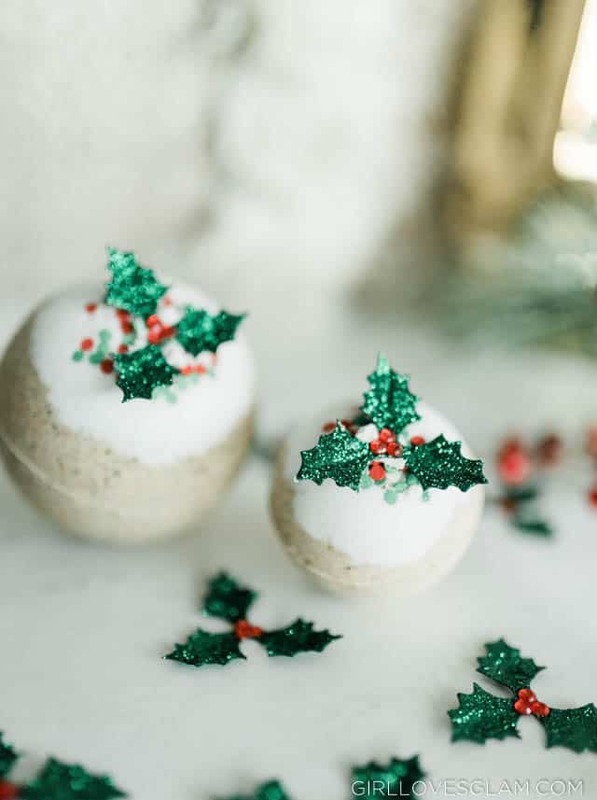 These gingerbread bath bombs are perfect for neighbor gifts, teacher gifts, or stocking stuffers. I think people get nervous when they are trying to learn how to make bath bombs, but they aren’t hard to make at all! 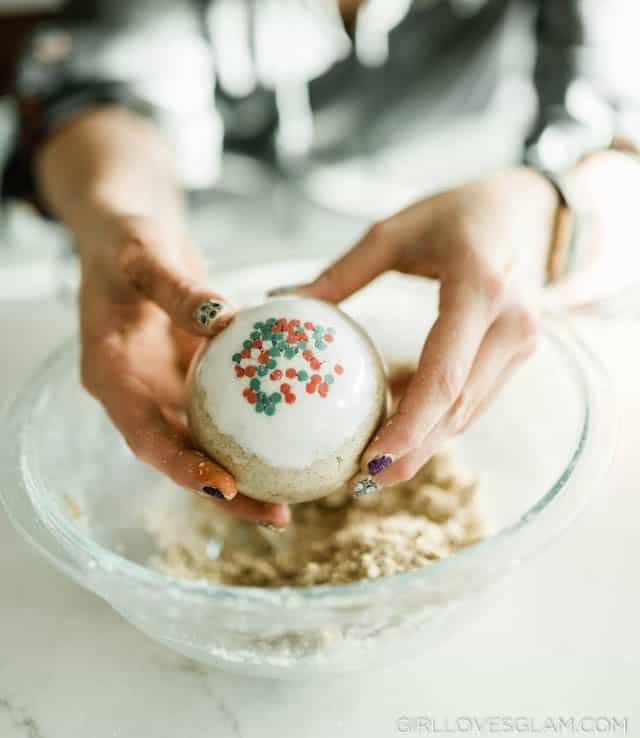 Last year, I made these cute Christmas Tree bath bombs and I am excited to add these gingerbread bath bombs to the mix! 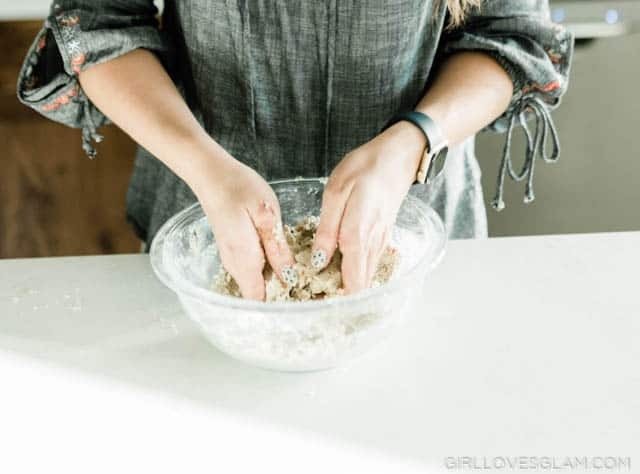 Start by mixing your dry ingredients together in a large bowl. Add the coconut oil to the mixture and get it thoroughly mixed. Spray witch hazel into the mixture, 5 sprays at a time. Mix together really well and spray 5 sprays again. 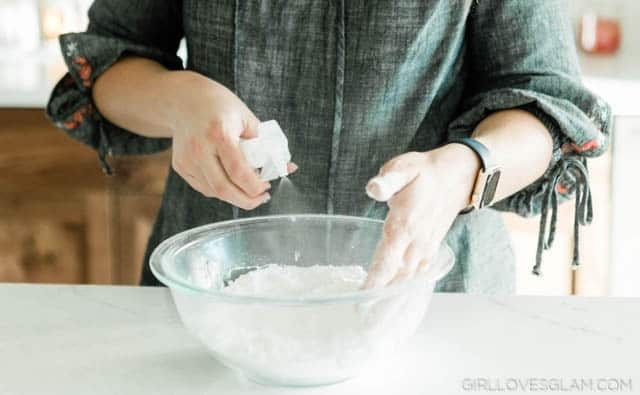 Continue doing this until the mixture can hold itself together when you squeeze it in your hand. You don’t want it to be too wet or else it will continue to react and they won’t hold themselves together. Add the gingerbread fragrance oil. This oil isn’t meant to be put on your skin, without diluting it first. So be aware of that as you are putting it in your mixture. 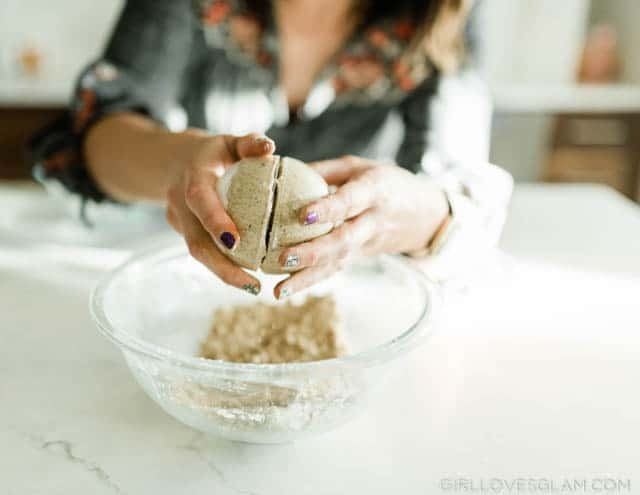 The mixture will dilute it enough in your bath bombs but if you have sensitive skin, you might want to wear gloves to mix it together in case you touch the oil with your bare hands. Now you will need to scoop out a little of your mixture and put it in a small bowl. The rest of the mixture will get brown food coloring in it. Add as much as you want, until you get the color you are desiring. 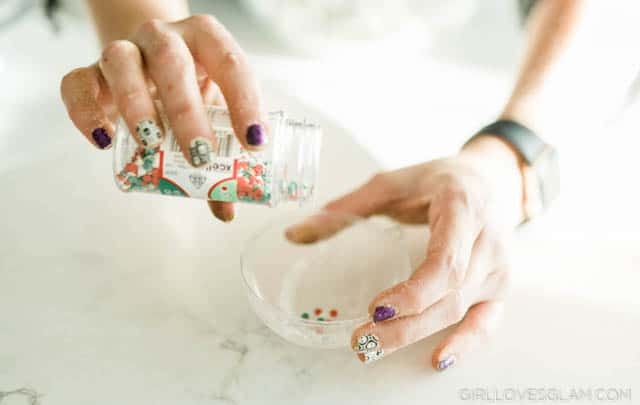 Sprinkle some of the Christmas sprinkles into the bath bomb mold. Put some of the white bath bomb mixture over the sprinkles and press the mixture down into the mold. 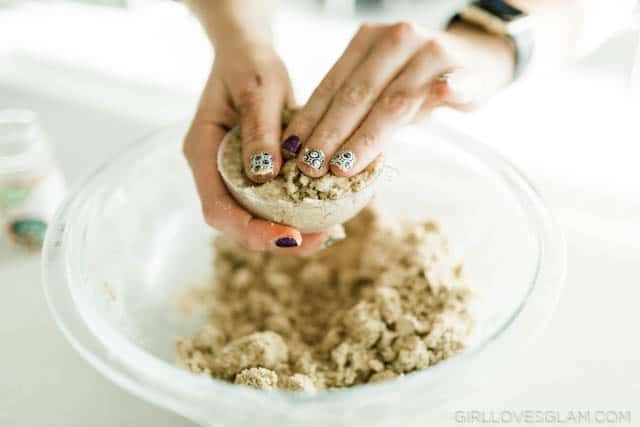 Fill the rest of the bath bomb mold with the brown bath bomb mixture. Firmly press both sides of the bath bomb together and place a rubber band around the mold, to hold it together really well. Let them dry overnight, or place them in the freezer for an hour. 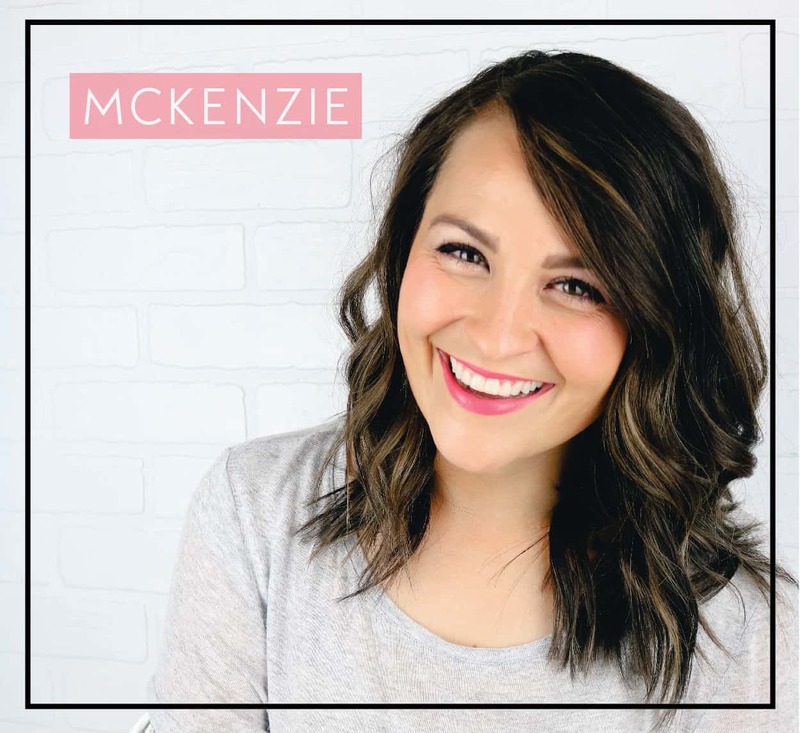 When you take the bath bombs out of the molds, try separating them gently by slowly pulling and twisting the sides until one side comes off. Then gently pull of the other side of the bath bomb. These bath bombs are cute just like this, but I love dressing them up just a little more with some holly berry on top. 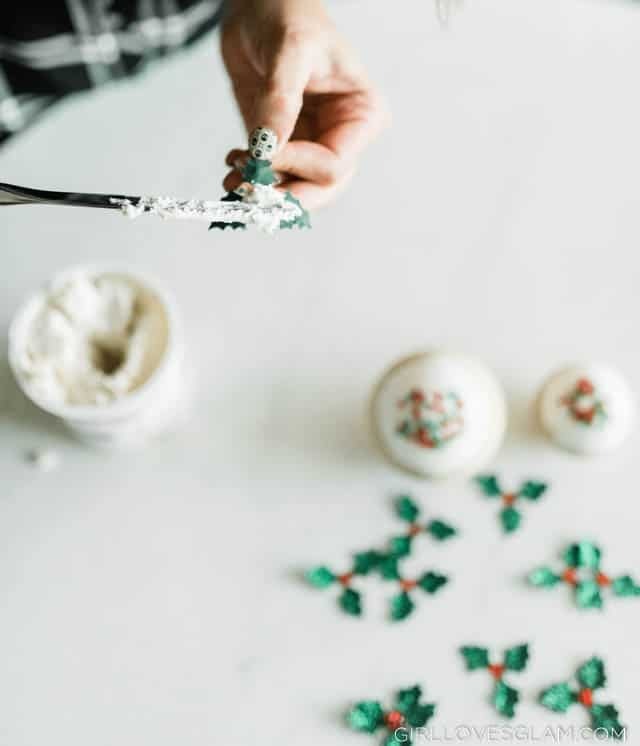 To do this, you will put a small amount of royal icing on the back side of the holly berry decoration and press it onto the top of your bath bombs. You will want to remove this before you actually drop the bath bomb in your tub. 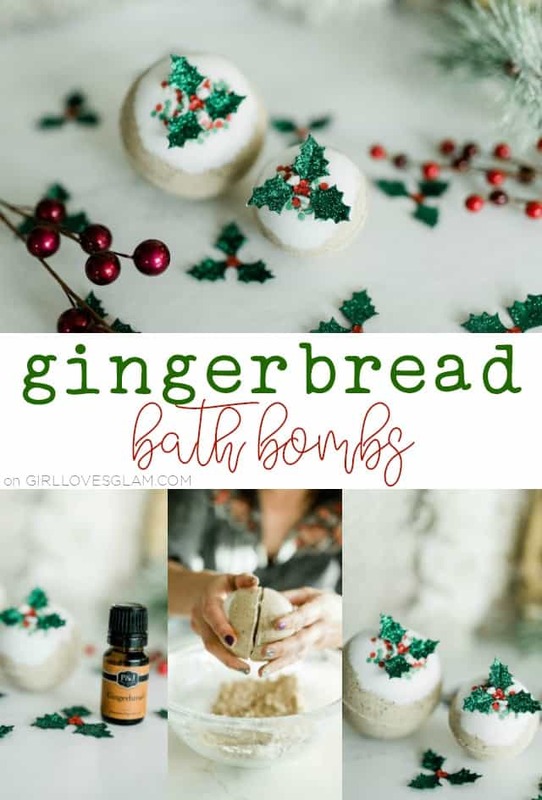 Now you have adorable gingerbread bath bombs! 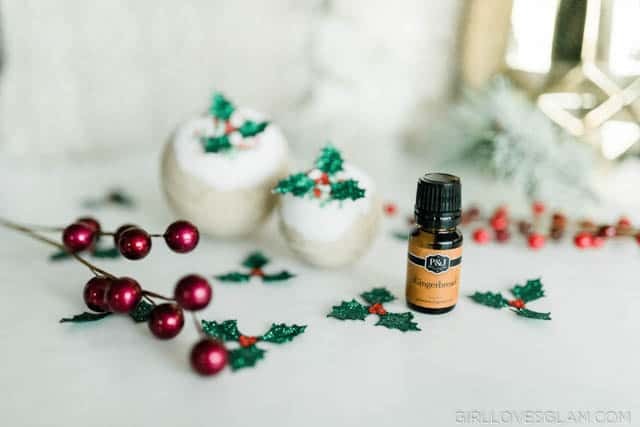 They are incredibly easy to make and all of the people on your Christmas gift giving list will love them! 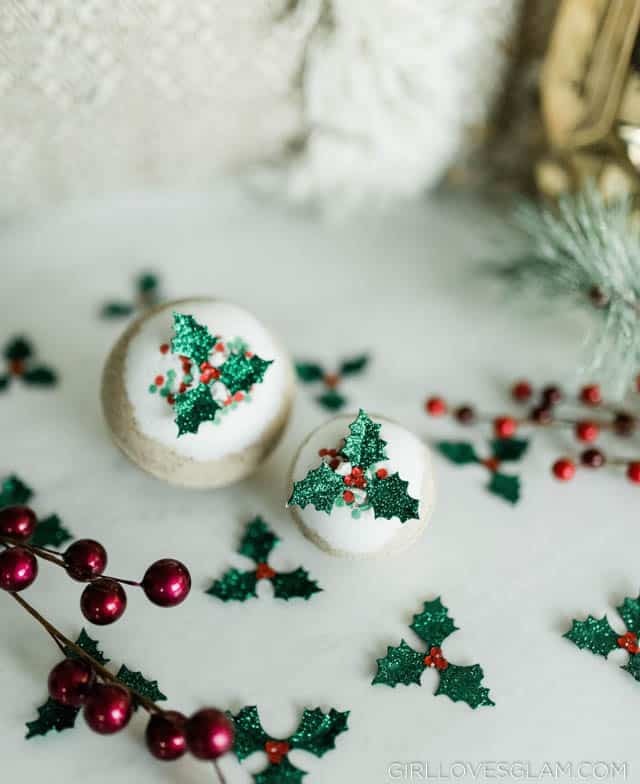 Who are you giving gifts to this holiday season who would love these bath bombs? 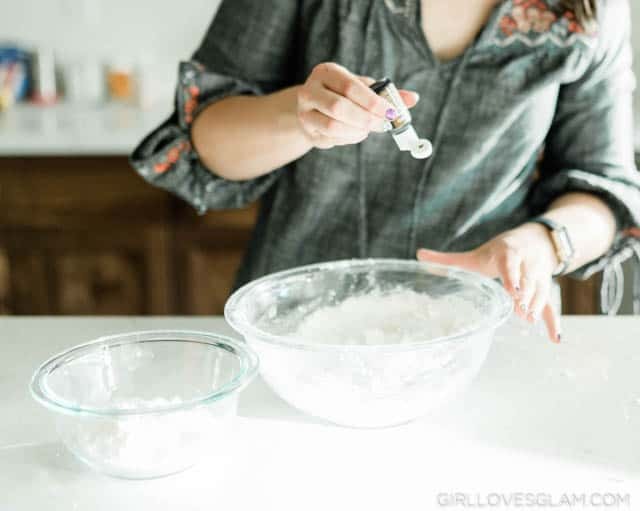 If you want even more DIY cosmetics to use as gifts this holiday season, I love this Peppermint Sugar Scrub from A Pumpkin and a Princess and this Gingerbread Bath Salt recipe from Life with Heidi.